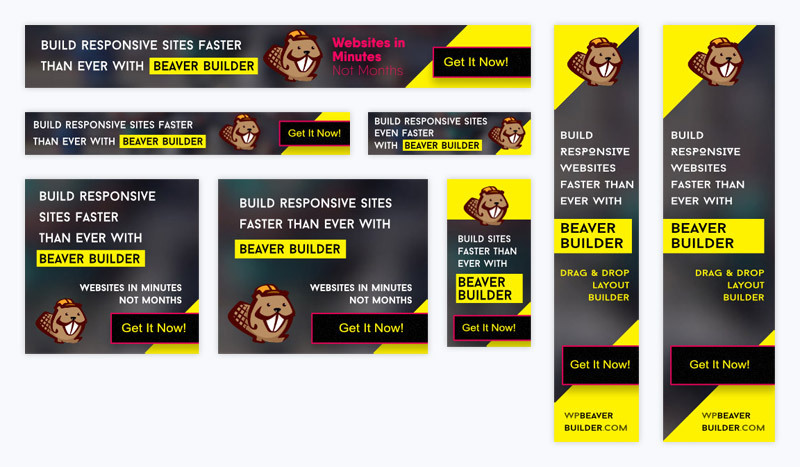 Beaver Builder logos, affiliate banners, and brand information. We're delighted for your interest in using our logo and/or other brand assets. 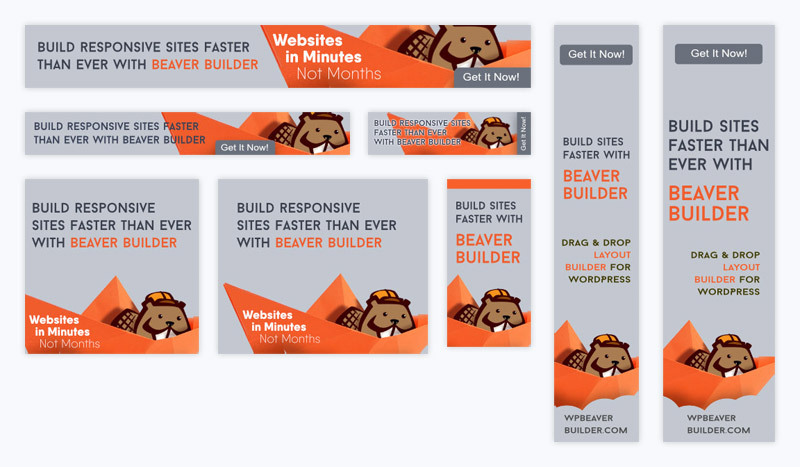 There is a vertical and horizontal variation of the Beaver Builder logo as well as a light and dark variation. Below, you'll find several sets of beautiful creatives you can use for just about anything promotional. Whether you are a blogger reviewing Beaver Builder, or an affiliate promoting to your crowd, show them in style using these. 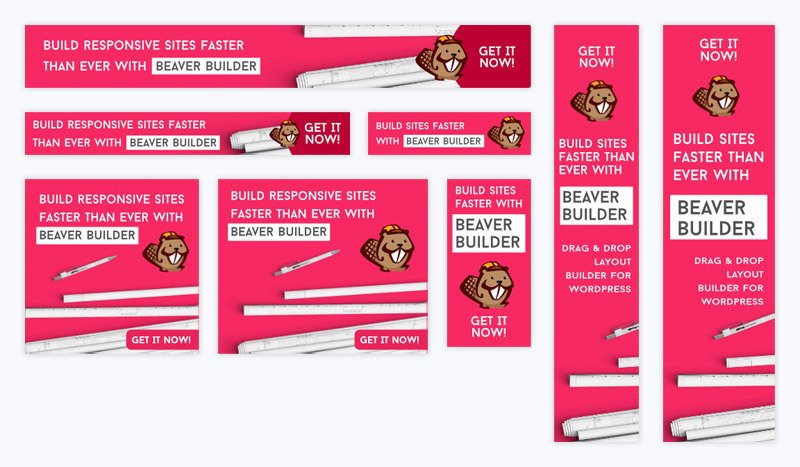 Use these assets to promote and spread the word about Beaver Builder!